What the Heck is a "Perk Test" (and How Much Does it Really Matter)? If you're dropping some serious cash on a parcel of vacant land, there is one issue that may seem insignificant at first glance, but it has the potential to make or break a land deal. A Perc Test (also known as “Perk Test”, and more formally known as a Percolation Test), is a soil evaluation that tests the rate at which water drains through the soil. Perc tests are required in just about every civilized municipality in the world – because the results of this test provide crucial information needed to design and install a septic system. A perc test is conducted by drilling or digging a hole in the ground, pouring water into the hole and then observing the rate at which the water is absorbed into the soil. In most cases, properties can easily pass a perc test when the soil has higher concentrations of sand (because sand tends to absorb water at a much faster rate than clay or silt) and when the property is situated in an area with a low water table. Why is a Perc Test Necessary? For all intents and purposes, a perc test (and subsequently, a septic system) is only necessary when a property does NOT have access to a municipal sewer system. If a vacant lot is situated within reach of an existing sewer hook up, this will usually eliminate the need for a septic system altogether. For this reason, the availability of an existing sewer system can be big “perk” (no pun intended) when evaluating a property's suitability for building a dwelling of any kind. When there isn't an existing sewer system nearby, that's when you'll need to explore the feasibility of a septic system. In order to determine if a septic system is possible, most county health departments will require a perc test. Most of the world's septic systems are designed in a way that requires a septic drain field or “leach field” to drain away any excess water. When solid waste settles in a septic tank, the excess waste water is then discharged into the septic drain field through a network of perforated pipes. through the process of percolation – and also through evaporation, transpiration, consumption by plant roots and eventually, the remaining water re-enters the ground water and/or surface water. The typical size of a drain field is determined by the expected volume of waste water to be discharged from the septic system (which is usually estimated based on the size of the proposed building). In order to understand the importance of a perc test, you also need to understand the basics of how a septic system works. This video gives a helpful explanation on how septic systems work and how a perc test fits into the overall scheme (skip to 3:42 to see the explanation of a perc test). 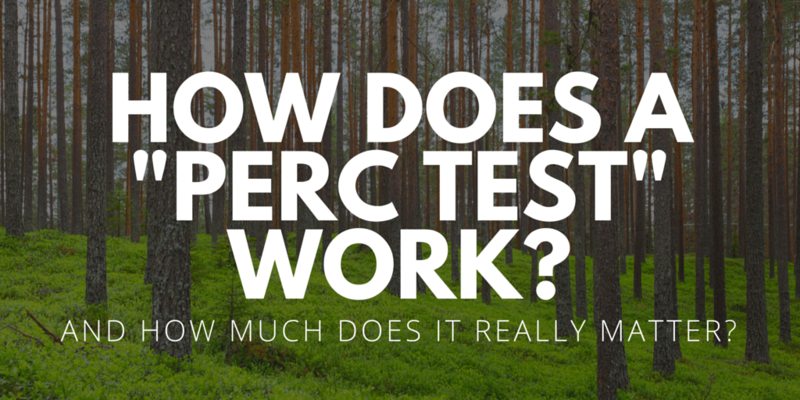 How Does a Perc Test Work? In most jurisdictions, a perc test is performed when an official from the county health department meets with the owner of the property and/or a licensed excavator to dig a hole and test the drainage rate of the soil on-site (they literally pour water in a hole and time how long it takes to drain through). The Health Department determines and enforces the rules that govern when a property is suitable for a septic system, so it's critical that they be present to perform and/or observe the test in real-time. Depending on the Health Department's requirements, the location of the property, the building plans and the makeup of the soil – a perc test can be very simple and inexpensive, or it can be somewhat complicated and costly. As you can see, some situations call for heavy equipment, surveyors, engineers and the like, whereas other situations can be as simple as drilling small holes in the ground (by hand) and taking samples of the soil. Again, the complexity of the process has a lot to do with the Health Department's requirements, the property location, the plans for the site and the composition of the soil. How much oversight was required. How much the perc test would cost. How stringent the requirements were. What kinds of alternatives were allowed if the perc test failed. Even though the same fundamental concepts apply almost everywhere, the specific procedures required in one county can be very different from the procedures of another – so it's important to be sure the test is being done in accordance with the rules and authorities in your area. How Important is a Perc Test? 1. What is my plan for the property? People buy land for all kinds of reasons. Some are looking for a place to hunt, farm, camp and do other outdoor activities. If this is why you're buying land, then a perc test (for the purpose of a septic system) probably doesn't need to be very high on your priority list. Most people however, buy vacant land because they intend to build something on it… and even if your don't intend to build anything, there's a fair chance that at some point in the future, the next buyer down the line will. Without a successful perc test, there can be no septic permit. Without a septic permit, there can be no septic system. 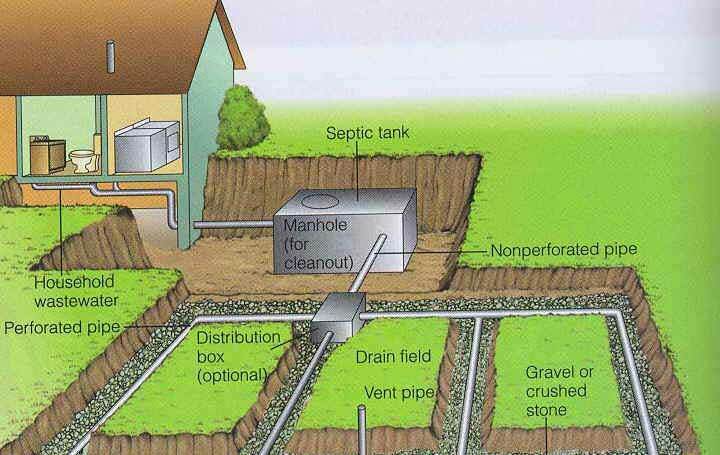 Without a septic system, there can be no dwelling of any kind. If the owner can't build a dwelling of any kind, the property's value will diminish substantially. Now, can a property still be usable/valuable without a septic system or dwelling on it? Of course! But in many cases, you'll still want to be fully informed about the property's “percability” BEFORE you invest your life's savings into it. The last thing you want to do is make an investment decision based on false assumptions. 2. How much am I paying for the property? Depending on the price you're paying for a property, it may or may not be worth the extra time and trouble of performing a perc test. As a land investor, I've bought most of my properties free-and-clear from sellers who were highly motivated. The typical purchase price is anywhere fom $100 – $5,000 and when you're buying a property at this price, it's not always easy to justify the additional time, money and hassle required to do a perc test. Whenever I'm dealing with cheaper properties that don't necessarily need to be built on, I've usually opted to SKIP this step in my due diligence process. I've been able to get comfortable with this because there are several externally observable factors that have given me sufficient reason to believe the property had a high probability of passing a perc test (we'll cover more on this below). In my opinion, if I'm buying a more expensive parcel of land (e.g. – anywhere north of $10,000), this starts getting into the territory of “it's gonna hurt to be wrong” and I usually take the time to verify before I proceed. 3. How big of a problem will it be if this property isn't buildable? Whatever you plan to use this property for, whatever price you're thinking about paying – just think for a minute about the worst case scenario. What if you buy it, order a perc test and it doesn't pass… then what? Does this property turn into a financial disaster or is everything still okay? If it's not a deal-killing issue – then it's probably okay to forego the perc test. However, if the property's “buildability” is a significant contributing factor to its value (and many times, it is) and if it would be very bad to guess wrong on this – then why gamble? If you're planning to live on this property and/or resell it as a “buildable lot” at any point in the future, then order the perc test. The peace of mind can go a long way! Is it Worth the Time & Trouble? To do the job properly, a perc test is always going to cost something. Depending on who you hire and how much work is required, the price could range anywhere from $150 – $1,500 (and in my experience, it's usually in the lower end of that range). That being said, if you're just looking for a vague indication of a property's ability to percolate, you don't necessarily need to spend $1,500. Heck, if you've got a shovel, a bucket of water and you know what to look for, you can even do it yourself! Of course, the only way to be 100% sure about a property's ability to percolate is to order a perc test with the local municipality. That being said, if you're willing to tolerate some risk in the equation, there are other clues you can look for that will give you a halfway decent idea as to whether or not you need to worry about this. Look at the other parcels adjoining your property. Are there any houses on these adjoining properties? If these parcels passed the perc test, there's a fair chance (though no guarantee) that yours can too. Are there any bodies of water nearby? If so, this property could have a high water table, it could have wetlands, or it could be in or near a flood zone. These factors aren't always correlated with a property's ability to perc, but it may be reason to use higher caution (and give you some other things to investigate) when deciding whether or not to spend the money on a perc test. What does the topography of your property look like? Is it up on a hill or down in a valley? Does it have a slope of any kind, with one end higher that the other? In some cases (when there is a high water table or varying soil types throughout a property), a vacant lot may not pass its perc test on the lower at the lower elevation, but it will pass on the higher end. For this reason, whenever I see a property that a clear variance in elevation, I see this as a positive, because it adds to the potential that even if the land won't perc on the lower end, it has another shot at passing on the higher end. If your property fails its perc test, don't panic. A failed perc test isn't the end of the story for any property. Start asking some questions to determine what alternatives might be available…. Check with the local Health Department about their records of any previous perc tests. Try to determine if they searched the entire property for a proper septic drain field (in many cases, one section of the property may fail the test, while another section of the property may pass with flying colors). Ask if it's possible to appeal the results of the previous perc test, and under what circumstances they would reconsider their original determination. Find out what time of year the failed perc test was performed. In many areas, the water table is higher during certain seasons and lower in others (e.g. – winter vs. summer) – which can have an influence on the soil drainage rate. If these first steps fail, it may be worth considering a modified septic system on the property. Some alternative septic systems can be reasonably priced (depending on the property's situation and the local requirements) and even environmentally friendly. These systems can be a bit more expensive than a conventional option, but it may give you more options to work with. Remember that soil types can vary across any parcel of land (and the topography of the lot can also make a big difference). Be sure to tell your excavator to try a few places – you might be glad you did! Also keep in mind that in some areas, if you wait long enough, the municipal water and sewer may become available. If your plan is to buy land and hold it for a while, it could still be worth your while. It's also worth noting that when a property fails a perc test, it doesn't necessarily mean you can't build anything on it. In many cases, you can get around this issue if you're willing to spend more money on an engineered system and/or add a raised sand bed to overcome the drainage issue (depending on what the Health Department is willing to allow). With a little bit of creativity (and adherence to zoning requirements and mineral rights), almost any property can be put to good use. If you've gotten to the point where you're ready to hire a pro to evaluate your property, all you need to do is call your county Health Department (just Google the county name and then “Health Department” to find their phone number) and ask them what the requirements are to properly conduct a perc test. In some counties, the Health Department will have to perform all of the work. In others, they will require a licensed excavator to do all the digging ahead of time. Whatever the situation – remember that the rules and regulations can be very different depending on where your property is located, so before you take any big steps forward, make sure you learn how it's supposed to be done directly from the source. With the right information, you should be off and running in no time. Further Reading: Assessing soils information for on-site wastewater dispersal by Paul R. Finnell, Sr.
That’s good info. I do a little writing myself so I like to read other articles to gain knowledge and ideas in preparing my topics for my blog post. Plus I think it’s important for you to know that other people are reading your articles. Thanks for your feedback Frank, I’m glad you go something out of it! Well, it sounds to me like a perc test is basically an no-brainer. I mean, I’m all for taking risks, but what’s the upside of skipping out on the test? You save a few hundred bucks? It’s not even remotely worth the risk! I think it just depends on how large (or small) your investment into the property is, what you’re planning to use it for, and how quickly the deal needs to close. There are certainly some cases where it’s not necessary but as a general rule, most people will probably want to go through these motions and be 100% sure about what they’re buying. I tried to wholesale a 1/4 acre vacant lot recently and didn’t get a perc test because there wasn’t enough margin to justify it. Plus, the lot was completely surrounded by houses so I assumed it was probably safe. My buyer was a builder and paid for the perc test as a part of his own due diligence; saved me $250. Unfortunately (and surprising) for everyone, the test failed miserably. The buyer backed out of course, and I was able to get out of my contract with the seller because of the failed test. The seller ended up calling me back a few weeks later and said he would give me the lot because he was tired of paying taxes on it and he now knew it was practically useless. I gladly accepted and only had to put up $10 to record the deed at the courthouse. I then sent letters to the neighbors and offered to sell it for $3,000. One of them called me and we are currently negotiating the final details. Hi Zac, wow – that’s a cool story! Thanks for sharing your experience! I guess you were pretty smart in trying to assign that one rather than buying it outright… and it’s even cooler that you found a way to make a profit from it by talking to the neighbors. We could all learn some lessons from you! Thanks, Seth; although I can’t claim the title ‘smart’. I was only assigning because I didn’t have any money to buy. If I did I likely would have jumped the gun on the purchase. I just wanted to share that there are ways to get a perc test without paying for one. And even when it looks like it should pass, don’t stake your profit on it. And even if it fails, you can still come out on top. I got the neighbor letter idea from you, by the way, so you should get the credit for that one. Thanks for all the good info you contribute on your site. If I am interested in purchasing land and the listing says it has a 4 bedroom perc on record, does this mean I can build a home with no more than 4 bedrooms? Is it possible to build a home with 5 or 6 bedrooms on a 5 acre lot with only a “4 bedroom perc”? Hi Tom – good question, I would probably call the listing agent (or the owner, if it’s for sale by owner) and ask them what this means. My assumption is that if the property is only meant to perc for a 4 bedroom house, then you can only build a 4 bedroom house (but again, you’d have to contact someone in the area to verify). Hi Paul, that’s a good question… I think the perc test results may be of public record, but you’d have to inquire with the local county health department to see if they can provide that kind of information on demand. I don’t think the seller is necessarily obligated to disclose if it failed the perc test (at least, not to my knowledge), so if you’re planning to build, I’d say it’s worth your time to do this investigation on some level. If you are selling a property to a nearby country club and they do an unofficial perc test, done by a retired health dept empolyee) in order to determine how many houses can be placed on the property can that affect your property value if they do not buy? Hi Cynthia – it might give you some pretty solid clues… but I don’t think you can draw any official, on-the-record conclusions until you get a verified perc test from the county health department. I have a question about the perc test. We got our done and it perked but it was through the wrong township. Do we have to pay the right township to do it all over again now? Hmmm, that’s an unusual issue – I wonder why the wrong township was willing to work with you on it if the property was out of their jurisdiction. In my state, most of the perc test are handled at the county level (which covers all of the cities and townships within that given area), but if you have to do it at the township level, I imagine you’d probably have to get their approval in order to move forward… if the work has already been done, there may be an expedited way to get their sign off – but you’d have to talk with them about what’s possible. I really didn’t want to get a Perc Test done on my property, but after reading your article, I think I might go for it. I didn’t know it was required by most health departments. I will look into it more. Thanks! I’m looking at a house built in 1955, and the property already has an existing septic system on it. Should a Perc Test be done on it as part of the home inspection, or is it safe to say the system has already passed? Sorry if this is an ignorant question…I’ve been on public utilities up to this point and worry that this might become a problem after I purchase the house. Especially if the rules have changed since then and with a new owner the guidelines have changed. Also if I want to add an addition with an additional bathroom…will the Perc Test need to be re-done? 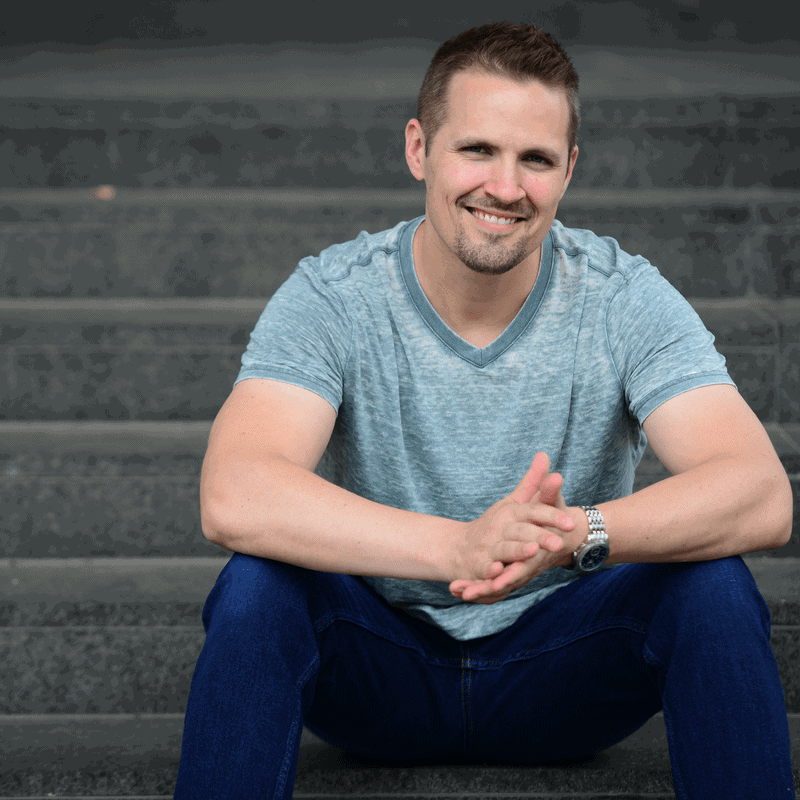 Hi Michael – I wouldn’t think a perc test is necessary, since the existing septic system is a pretty solid indication that the property passed the test long ago. You may want to make sure the septic system is in good working order, but that would be a separate issue/inspection from a perc test. Hi Seth, We recently purchased land and had a perc test performed.It passed. However, when we went to mark where we wanted or home placed, we were told it could not be possible because the perc test markers are there. Is this accurate? If so, I do not understand why the company would not ask me where we wanted to place our home before performing the test. Any advice? Hi Samantha – I suppose that is possible, but I’m not sure why the company wouldn’t have asked you where the home would be placed. When I’ve ordered these in the past, I’ve gotten some kind of drawing when the job was done, showing where on the property the land had successfully passed the test (so I at least knew what areas I had to work with). It may be worth a call to them to ask why they weren’t clearer about this… perhaps they would be willing to go back and redo the job at a discounted price because of the lapse in communication? It’s always worth a try. Sorry to hear about the trouble here! That sounds frustrating. Thank you, thank you, THANK YOU for this article!!! I am dealing with this “issue” with my parents’ house (that was left to me) and since I don’t know too much about “septic inspection and soil testing,” I have been dealing with such nightmares!!! The house is very old, has some “structural issues” and now with dealing with these “inspections and tests,” I now know that if worse comes to worse, maybe I can see if someone wants to buy it to put up a poll barn or maybe a garage? Thank God your article was out there for me (I looked at a LOT of articles that didn’t give me the information that yours did!!!)!!! That’s awesome Brooke! I’m so glad you found the article (and that it helped you out). I appreciate you letting me know! Is it the realtor’s/seller’s responsibility to disclose that a property has failed several perc tests? Generally, if there are problems with a property that would inhibit the buyer’s intended use of it, then yes – it’s safe to assume that the seller should be disclosing these things to the buyer before closing. Hey, I have a house that burned down a few months ago and we are in the process of putting a smaller manufactured home in its place. We also want to get off our well and hook up to city water but they tell us we have to have a cert that shows a perk test was done and its ok. our old home was there for 45 years on that system and it was pumped 3-4 times over those years and it works fine. Why would the water dept. want a perk test on land that has been already had septic system in use this long. Hi Mike – I’d start by clarifying with the local officials what your intentions are (that a septic tank won’t be needed anymore). If that still doesn’t resolve the issue, it may be one of those situations where you need to go through the motions again “just because” (which is ridiculous, I know – but it’ll be easier to just do it than fight the system). Luckily, you already know the property will pass the perc test, it’s just a matter of appeasing them so you can proceed with your plans. We have been considering purchasing a lot that failed a perk test. It is located down the road from us on a canal 6 homes from an all-sports lake. We could not afford to build on the lake. We really just want to golf cart ourselves to this property and have a dock for a boat. Maybe a garage. No need for a septic system. It’s been on the market for almost a year since no one can build a home there. Is this a good idea? Would a garage be allowed on a lot such as this? Hi Angela, as long as you don’t need to build any kind of septic system there, and as long as no other zoning/ordinance issues would get in your way, it sounds like a pretty good way to use some pretty cheap land. Thanks for reading Jim! Glad it was helpful to you. At 1:17 in the first video on this page, did you really say, “wiz water”? Seth, that was funny! Keep up the great work. ‘waste water’… I’ll have to get some subtitles added 🙂 but I’m glad you found it funny either way! Thanks for watching. Hi Seth, That was a good layman’s synopsis. However, there is a lot of variance in the testing in different states. I’ve been trained and licensed to do testing in Pennsylvania, the costs are much higher here, with the cost of the permit, the cost of a backhoe, and the two phases of the test, usually done on two different days, its hard to keep very low. I think the cheapest we ever paid was close to $1,000, and the most expensive was about $5,000, though that was very exceptional. In order to do a subdivision of about 100 acres we had to do almost 200 perk tests on a single tract. The official initially planned to do 4 a day with 2 people. By digging all the holes our self, supplying water to each of the nearly 1,200 perk holes (here there are usually 6 holes per 1 test), and filling the holes after each reading we were able to speed up the process. I think our fastest time was doing 13 a day with 2 people. As you mentioned wetlands and flood plains are big issues, but also slope of the property and soil and rock composition of the ground. Rock outcrops, pinnacles and bedrock are generally bad signs. Thanks for your feedback David! Wow, sounds like you’ve done your share of perc tests. I know there’s quite a bit of variance out there in terms of prices and geological issues that cause the most problems. The price range I mentioned was after talking with several different health departments in a few different states, so it doesn’t surprise me to hear that it can fall outside of that general dollar range in other areas. I’m interested in a 1 acre property in Spencer Co Ky. The Realtor states the “sister track” did not pass the Perc Test. I’m wanting to have a 500 sq ft loft house built so I can live affordably in my golden years. They’re asking $10K for it. I thought of making an offer pending Perc Test results and if it does not pass offering 3 or 4K for it, do a fill and wait, then have my septic installed and home built. My question is does the fill and wait technique work 100% of the time, if not what’s the alternatives? Hi Barbara – thanks for your comment. Yeah, I would definitely be concerned if you know for a fact that the adjoining lot didn’t pass the perc test. Can you clarify what you mean by “fill and wait”? Very detailed post. Perc tests are especially important for areas known for flooding.